Though short-lived, the Eagle Vision sedan sold in respectable numbers, while the sporty Eagle Talon sold more than 115,000 units. Following the introduction of General Motors' Saturn brand automobile, Chrysler promised a similar new brand designed to take Saturn on with innovative design and building methods. In a press release by then Chrysler Chairman Lee Iacocca, it was indicated that Chrysler was working on a car that would bow as the "Liberty". However, these plans never reached fruition. The name later was used for a Jeep model. The Jeep/Eagle division of Chrysler Corporation was formed after Chrysler's 1987 buyout of American Motors Corporation, or AMC. Chrysler's initial problem was that unlike the Big Three, which had multiple brands under their Corporate name, American Motors had sold passenger cars under its corporate initials of "AMC" since 1970. Thus, without having a separate brand from the now defunct company, Chrysler looked to re-brand the legacy vehicles inherited through the purchase of AMC instead of trying to fold those outside designed products into Chrysler's existing branch structure. The Eagle name was taken from the AMC Eagle, the last of American Motors' wholly U.S.-designed vehicles. The vehicles were marketed primarily by AMC dealers along with Jeep products. Unlike Chrysler, Dodge, and Plymouth branded automobiles, Eagles lacked the Chrysler Corporation "pentastar" logo. Instead, all models prominently featured the Eagle head logo, seen at the top right. Two of Eagle's first models, the Eagle Premier and the Eagle Medallion, were designed by AMC in cooperation with its former corporate partner (and 46.4 percent owner), Renault. The remainder of the brand's cars were simply rebadged versions of cars sold by other Chrysler Corporation divisions, as well as some captive imports produced by Mitsubishi Motors. Throughout its history, the Eagle brand suffered from a lack of product recognition and innovation to set it apart in the market place. Most of Eagle's models were offered in Chrysler-Plymouth, Dodge, and Mitsubishi dealerships under different guises. 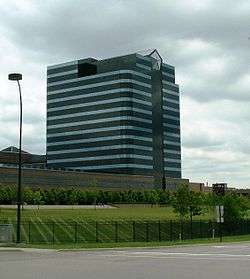 Chrysler was in the midst of financial difficulty at the end of the 1980s, and did not have the funds to spread to its new automotive division. Moreover, Jeep vehicles were quite popular and profitable, so most of the division's marketing resources flowed to the Jeep product range. Since Jeep's products had better recognition and higher profit margins, many dealers placed greater emphasis on Jeeps, and considered the Eagle line of passenger cars to be a distraction to that business. Their sales and service expertise was primarily in the four-wheel drive Jeeps and AMC's Eagle all-wheel-drive models. Furthermore, following Chrysler's acquisition of AMC, there was a realignment of the dealership network. Some former AMC/Jeep dealers were consolidated with Chrysler-Plymouth franchises. Up to this point, Chrysler-Plymouth outlets did not have a sport utility vehicle (SUV) to sell, and adding the Jeep line helped dealers offer customers a range of vehicles in a rapidly growing market segment. The merger may have helped the individual dealerships that signed on, but it caused the nascent Eagle division and its largely derivative models to compete unfavorably for attention with Chrysler's and Plymouth's often similar, but longer-established and better-recognized, lines of passenger cars. After a decade of slow sales, Chrysler announced the discontinuation of the Eagle brand in September 1997, and the last 1998 Eagle Talon rolled off the line shortly thereafter. The Eagle brand was phased out in stages. In 1996, Chrysler discontinued the Mitsubishi Mirage-based Eagle Summit, having canceled the nearly identical Dodge Colt and Plymouth Colt models after the 1994 season. In 1997, the Eagle Vision was discontinued at the end of its design cycle, though the similar Dodge Intrepid and Chrysler Concorde were redesigned for 1998 and continued through 2004. 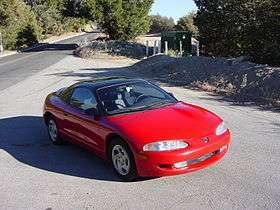 Only the Mitsubishi Eclipse-based Eagle Talon remained for 1998, after which it, along with the Eagle brand itself, was discontinued because of the DaimlerChrysler merger at that time. Chrysler had originally planned to redesign the Eagle Vision for 1999. Prototypes, called the VanCuren Eagle were even spotted wearing the Eagle logo, and Vision production continued into September 1997 to provide dealers with enough stock of the older car to carry them through to the new car's introduction. However, Chrysler executives decided to pull the plug on the Eagle brand just a few months later. The car they were working on went on to be marketed as the Chrysler 300M. Eagle did not survive the merger of DaimlerChrysler in 1998, although Plymouth was the only brand to be eliminated by DaimlerChrysler. The continuation of the AMC Eagle line, production ended December 14, 1987. Also badged as the Renault Medallion in 1987, this car was imported and was very similar to the Renault 21. Designed by AMC, the Premier was also briefly badged as the AMC Premier and Renault Premier in late 1987 and early 1988. Unusual (for a FWD car) in having a north-south engine mounting (presumably to accommodate a future AWD version), it shared several parts with the Renault 25, and spawned a rebadged version named Dodge Monaco (1990–1992); this platform was the building block for the 1993 LH cars (Vision, Dodge Intrepid, etc.). Two models were offered. The 3-door hatchback and 4-door sedan were rebadged Mitsubishi Mirages, and the station wagon (badged as either an Eagle Vista, or a Dodge/Plymouth Colt Vista) was a rebadged Mitsubishi Chariot. Sold only in Canada. Coupe, sedan, and wagon models were available. The coupe and 1987-1991 sedans were rebadged Mitsubishi Mirages, while the wagon was a rebadged Mitsubishi Expo LRV. The 1991-1996 sedan was a rebadged Dodge/Plymouth Colt. A rebadged Mitsubishi Galant, sold only in Canada. One of Chrysler's three original LH-cars. Sold in Europe as the Chrysler Vision. The Eagle Optima was a 1990 concept car. It was a four-door sedan that used cab forward design. It was one of a series of concepts (which included the 1987 Lamborghini Portofino and the 1989 Chrysler Millennium) that lead up to the 1993 LH Eagle Vision and its siblings. The Optima's front fascia also inspired that of the 1995-1998 Eagle Talon. The name Eagle was also used by Dan Gurney's All American Racers team for his racing cars. Among the most notable are the Eagle Mk1 Formula One car, which won the 1967 Belgian Grand Prix; the winning cars at the 1968, 1973, and 1975 Indianapolis 500s; and the Toyota-Eagle IMSA GTPs of the late 1980s/early 1990s. The name was also applied to commercial trucks made by International Harvester, and subsequently by Navistar International as part of its International truck product line. ↑ "Jeep Dealers Will Sell New Chrysler Eagle Car". The New York Times. Retrieved November 23, 2012. ↑ "AMC Shareholder Vote Closes Chrysler Buyout of AMC". Associated Press. Retrieved November 23, 2012. ↑ "Chrysler Discontinues Eagle Brand". Chicago Tribune. Retrieved November 23, 2012.